Who wants to go camping? 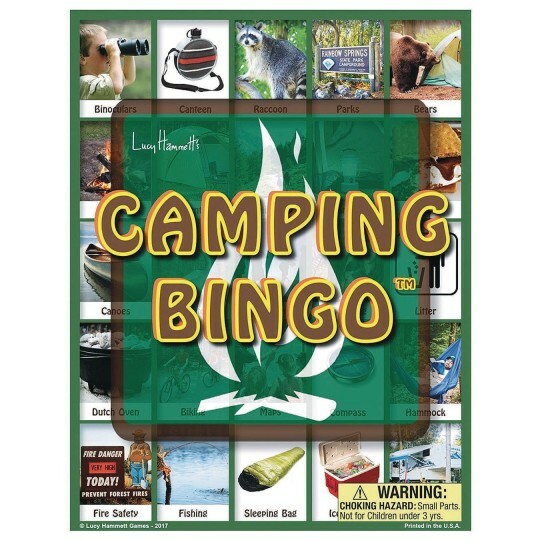 Learn facts about camping fun and activities while playing Camping Bingo. Includes 6 player boards, 42 informative calling cards, and 112 cardstock bingo squares to mark your spot. Made in USA. For 2 to 6 players, ages 5 and up.